Eddie Huang’s name might not be immediately familiar, but if you’re into food, you’ve probably heard of him. He was the guest judge who wore the sweet camo ensemble and who contestant Travis said was “kind of a douchebag” during the Vietnamese food episode on this past season of Top Chef (this is the clip if you haven’t seen it). I am quite sure that was not the first time Eddie Huang has been called a douchebag. He is like a young, Chinese-American Tony Bourdain with a fresh shape-up. He’s foul-mouthed, unapologetic, and brazen. And he takes his food very seriously. Although his dad owns a couple restaurants, his career in food was not preordained. A few years back, Huang was a young associate grinding his way through 1800 billable hours at a big New York law firm. But, when the recession hit, he got laid off. He was selling weed and hustling sneakers and had just started his own streetwear line, Bergdorf Hoodman, when he answered a Craigslist ad for a Food Network show. From thousands of applicants, Huang was chosen to appear on the party-food episode of Ultimate Recipe Showdown to cook his Mao’s style red-cooked skirt steak. He didn’t win (some “really bad Asian fusion” wontons cooked by a white guy did), but Guy Fieri (who “looks like a rodeo clown”) encouraged him to “Go for it” . . . and Huang took that advice to heart. Dissenters will quibble that you can get gua bao for less in Chinatown. Not with this quality you can’t. God is in the details. The buns are steamed in lotus leaves. The pork is flash-fried, and then simmered in rice wine, soy sauce, rock sugar, ginger and star anise — a technique called “red cooking” in Mandarin — plus cherry Coca-Cola, which adds a hint of caramel. Historical note: red-cooked pork belly is said to have been one of Mao Zedong’s favorite dishes. So Baohaus’s pork bun is named the Chairman Bao. 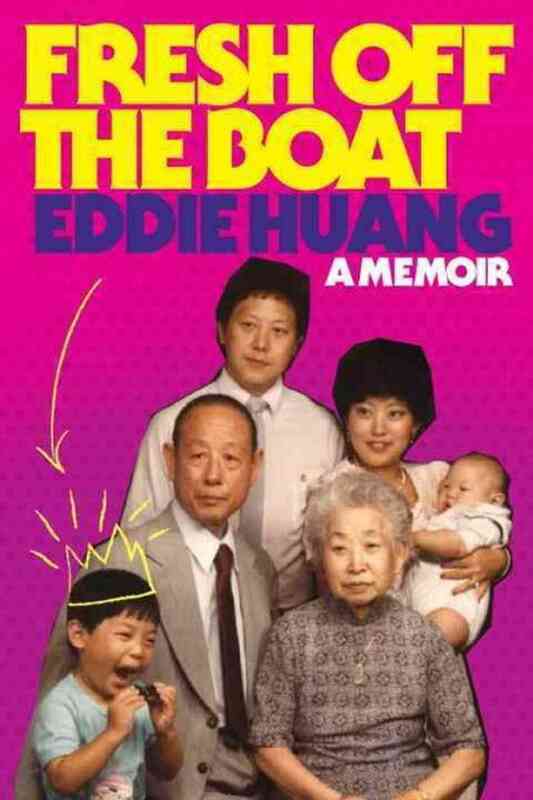 Fresh Off the Boat is also the name of Huang’s memoir, which was published last year. It chronicles his life thus far (he just turned 32)—from his days as a pissed-off Chinese kid growing up in Orlando with FOB (“fresh off the boat”) parents to his return trips to Taiwan; from his brushes with the law to law school; from hustling sneakers to hustling baos. He spends a lot of time talking about his childhood antics to prove just how “loud-mouthed, brash, and broken” he was. A couple stories would have proven this point adequately. But there are more than a couple, and, after a while, it gets a little old. His writing style is willfully unconventional (proving just how little respect for the grammar police he has). The tone is extremely conversational and laden with slang that he doesn’t explain or define. If you don’t get it, then you don’t get it. That’s the point. It’s a fresh voice, but most people over 50 would get a little lost (or be forced to rely heavily on the likes of www.urbandictionary.com). The book is more about Huang and his racial identity than anything else. He grew up in a rich, white neighborhood in Orlando, where he was teased for his “stinky Chinese lunch” and his “slant eyes.” Understandably, the teasing got to him (“Every time an Edgar or a Billie called me ‘chink’ or ‘Chinaman’ or ‘ching chong’ it took a piece of me. [. . . ] There were no free passes on my soul and everything they stole from me I decided I’d take back double.”). It made him angry and bitter and defensive, and all of that comes out in his writing. It has a tendency to be a little in-your-face. I appreciated the frank, unapologetic perspectives on race and racial identity, and I was pleasantly surprised by this aspect of the book. Huang is straight-up braggadocious. He grew up hard, and he got in some trouble. But he’s no dummy . . . and he wants to make sure you know it. When I picked this book up, I thought it would mainly be about food and the restaurant business. In reality, it’s roughly 25% food, 25% misspent youth (fighting, drugs, arrests, and such), 10% coming-of-age (finding himself, education, self-improvement) and 40% racial identity. So, if you’re looking for yet another foodie memoir, this is not the book for you. But, if you’re looking for a book about an angry, rebellious kid who made something of himself that’s written in a fun voice, then this is a good option. Who shouldn’t read it: my father (i.e., people who would be offended by the excessive use of profanity and would have no idea what the hell Huang is talking about 90% of the time). Basically, if you don’t know the difference between a derel and a hypebeast, don’t listen to Ghostface, and rock flossy joints, then you probably don’t want to fux with this, dun. This entry was posted in Rating: 3.5/5 and tagged Book review, Book Reviews, Books, Eddie Huang, Fresh Off the Boat. Bookmark the permalink.